I’ve lusted over these for a while now. Hoka One One, a brand originating from France, is brand I found out about when I learnt that Abe Burmeister, founder of cult brand and one of my favorites, Outlier, has a hard-on for. It must be looking at the shoes on Outlier models that made me curious which is why I started looking into them. I immediately got interested in one of their models, the Tor Ultra series. 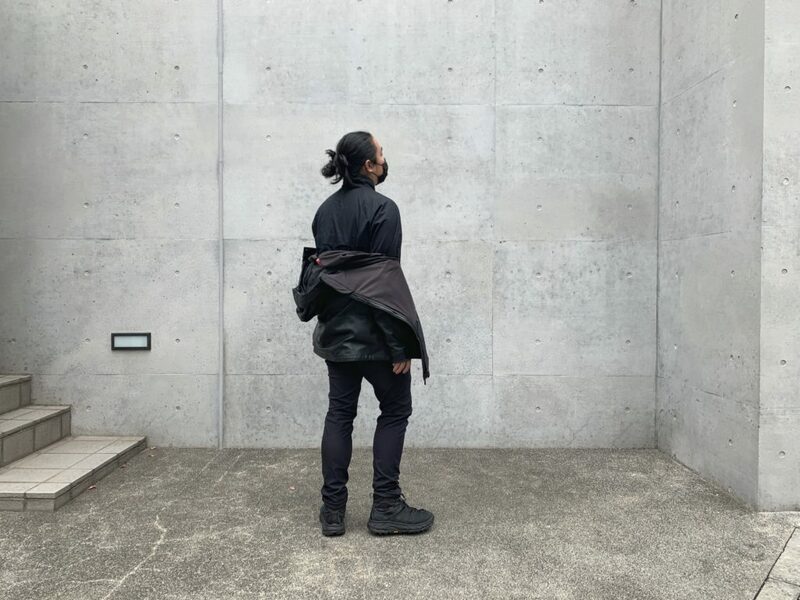 While this is a review of the Hi 2 (2019) version, they have also released the low version (which I also impulsively bought) which is a collaboration with Tokyo brand, Engineered Garments for Spring/Summer 2019. Even though this is the second time they are releasing the series, both versions remain extremely popular in Japan, with the low being almost fully reserved at the atmos online shop before it was released. When I bought the Hi version, I had to look at a few shops before I finally found it at atmos in Harajuku. As always, I got the all black version, the colorway most popular in Korea and Japan. While the upper is made from different material, the look is still very muted throughout the boot. While it is known as the maximalist boot, I still think it looks pretty stealthy with the maximalist part probably referring to the sole. As part of the style, they look huge on your feet and when matched with slim jeans, gives off a very edgy look. Anyone who needs a look book to reference would be better off looking at the Outlier website, where most of the models wear Hoka One Ones in the photos. For fans of the techwear trend, you will find this boot goes super well with that genre of look. A trend made popular by the Balenciega Triple S sneakers, the most distinctive feature of the Tor Ultra Hi is the substantially-cushioned sole. The distinct thickness of the boots (and most of Hoka One One’s shoes) are the most eye-catching part. I caught a few passersby, in the trendy Shinjuku area, staring at them. Like most of Hoka One One’s shoes, these require an acquired taste. But, I like them. They look substantial enough yet the black prevents it from drawing too much attention away from the rest of your look. There are three visible pieces of branding, which is the uncolored “HOKA” logo indented into the suede, a yellow “Vibram” logo on the side of the sole and the tag with yellow “eVent” on the upper. There are some subtle patterns on the upper which adds to the tech wear style of the boots. Overall, the style definitely elevates you into the fashion-forward realm and would be a key piece for fashionista, city slickers. 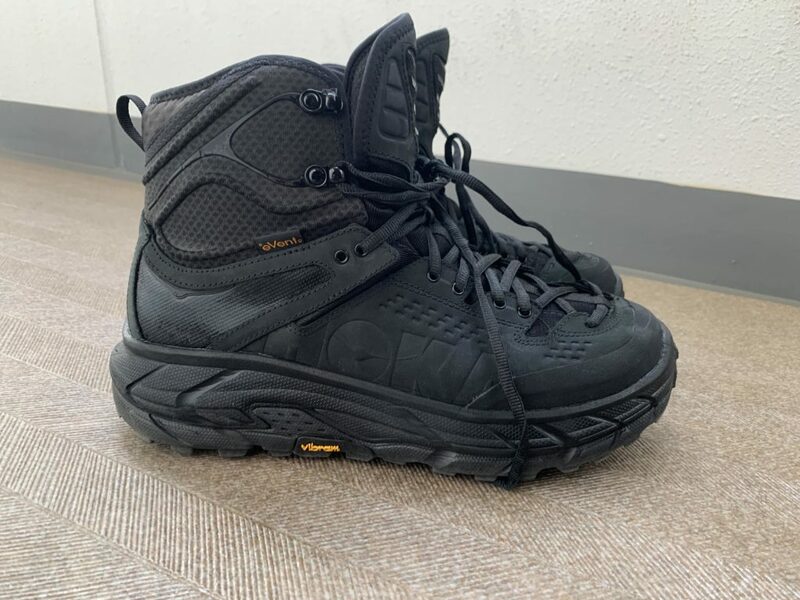 The upper is full-grain leather and textile with an eVent® waterproof membrane that allows your feet to breathe in order to get rid of vapor and sweat, but at the same time, keep out all the sleet, snow and rain. There are three layers to the sole, which is also the reason why it’s so thick. The first is a EVA (ethyl vinyl acetate) top midsole, which is full-length, maximizing the cushion they are known for. The top midsole is followed by RMAT layer, a blended EVA which was basically engineered by a bunch of scientists for stability, protection and efficient motion. 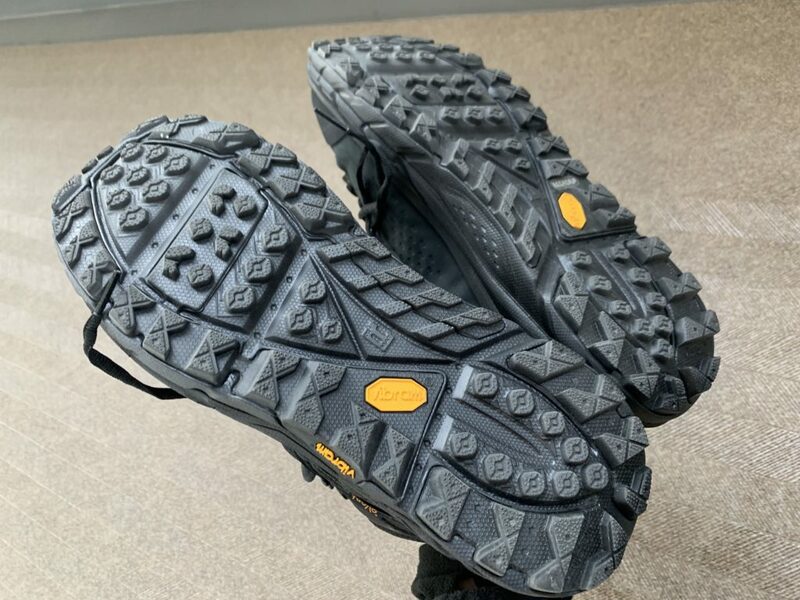 The third layer, the sole, is Vibram® MegaGrip, which offers, as the name suggests, an amazing grip quality on all terrain, wet or dry. There is a soft and hard version of this sole, and while it wasn’t specifically stated, I believe this model is the soft version, given its unparalleled comfort. The sole does not only grip well with friction, but offers a sticky grip using a special, long-wearing compound. I’m in the first few weeks of testing this pair of boots and so far, I’ve not encountered problems. That said, I’ve ready several reviews claiming that the durability can’t compare to more well-known brands. Given the comfort and cushioning, I figured some factors would have to be compromised. Unlike most boots I tried, these have extremely thick soles (thus the maximalist title). The uppers are also very soft and even more comfortable than most of my sneakers. They do, however, feel less durable than my other boots, but I’ve seen no reason to believe they actually are. I’ve mainly used these for a lot walking around the city and they hold up very well. I will continue updating this section when I have a chance to use it in harsher terrains. The top few laces have no eyelets, but instead have catches, which is not my preferred method as you need to maintain tension to keep them in place while tying. They feel exactly like a comfortable pair of sneakers. 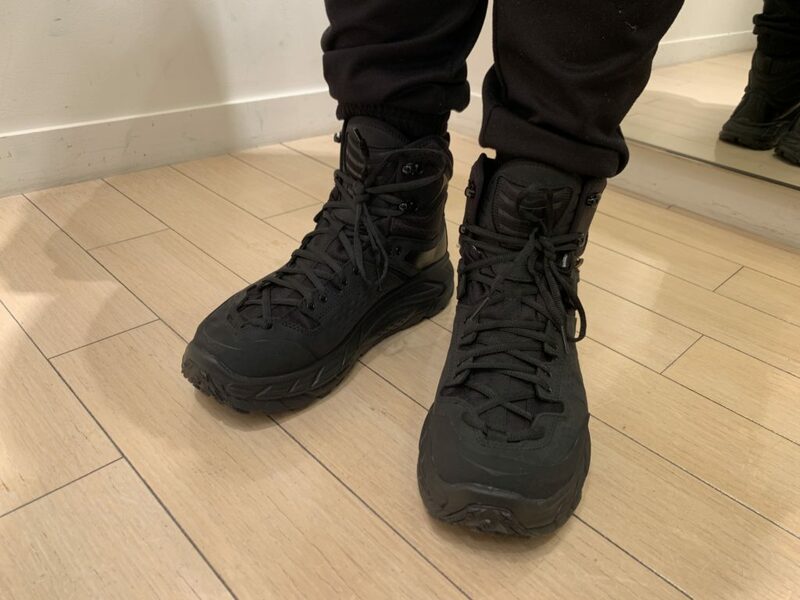 The uppers are thin, so slim pants would have no problem going over them, although I like to fold up my pants to show the boot’s tongue. The upper also make sure your feet doesn’t get overheated. I had no problem wearing the boots, even towards the end of spring. Also, because of the generous width, I feel comfortable in them all day, even standing the whole day. The best part about these pair of boots is probably the sole. Great cushioning for amazing comfort. I absolutely love these pair of boots. Apart from being the most comfortable pair I’ve worn, they are also the most stylish, although it depends on your style. I’ve not worn this to hike, so I would very much like to add more details to the durability when I do. Highest rated anime of Spring 2014. Minimalist running sandals for endless adventures.